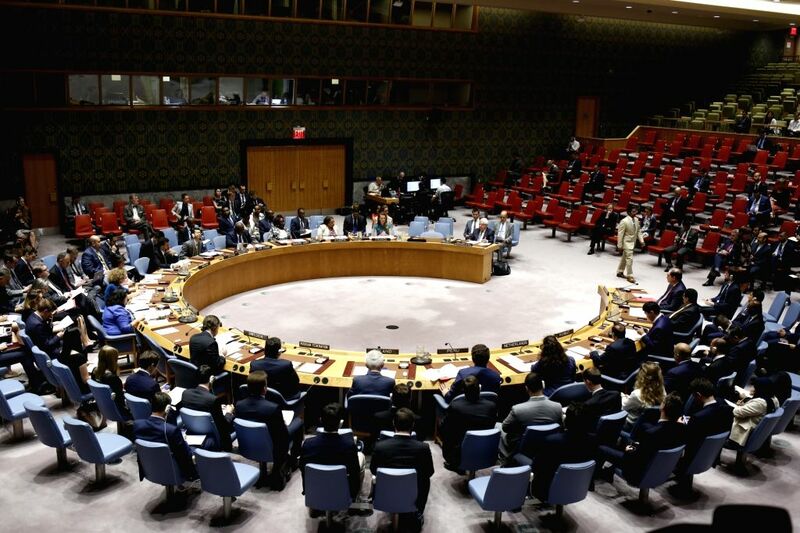 UNITED NATIONS, Aug. 2, 2018 - Photo taken on Aug. 2, 2018 shows a general view of the UN Security Council meeting on the situation in Yemen at the UN headquarters in New York. 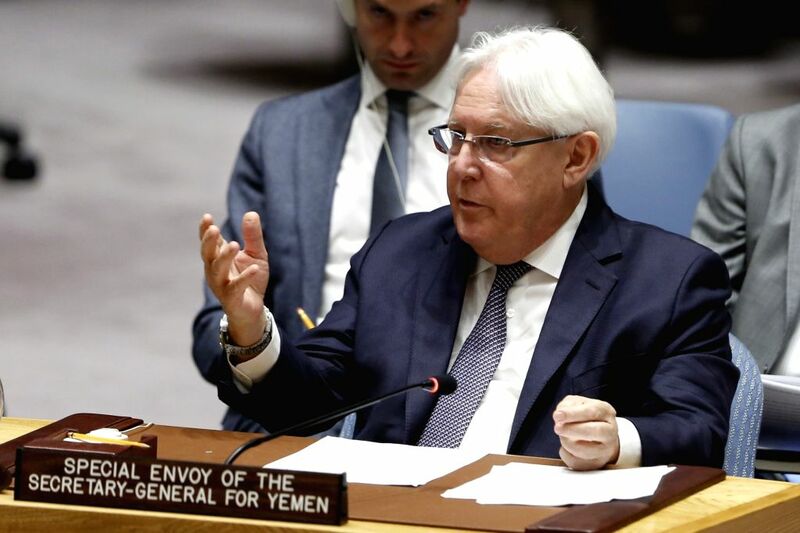 The UN special envoy for Yemen, Martin Griffiths, said Thursday that he is going to invite the warring parties in the war-torn country to consultations in Geneva next month. 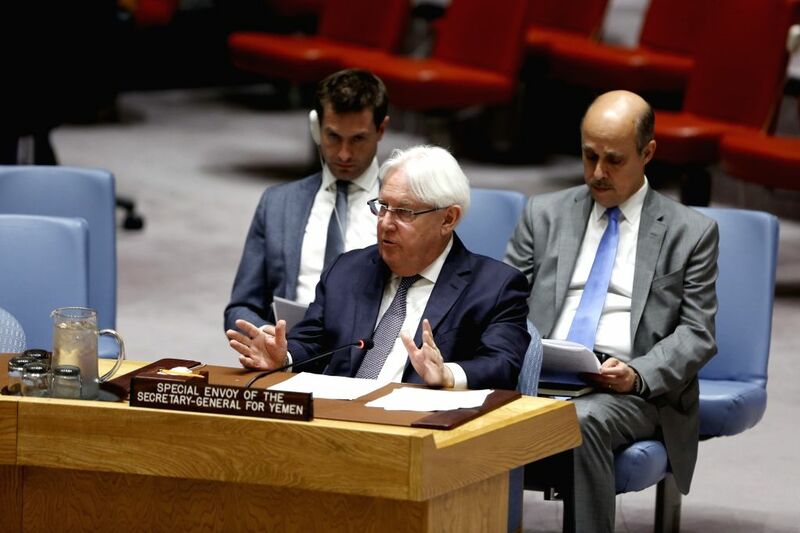 Martin Griffiths said Thursday that he is going to invite the warring parties in the war-torn country to consultations in Geneva next month.Martin Griffiths (Front), the UN special envoy for Yemen, briefs the UN Security Council meeting on the situation in Yemen at the UN headquarters in New York, Aug. 2, 2018. 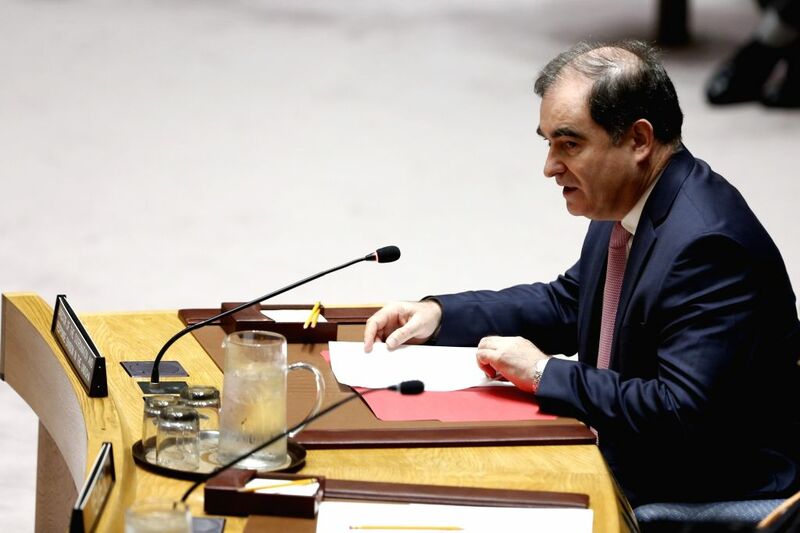 John Ging, Director of the Coordination and Response Division, United Nations Office for the Coordination of Humanitarian Affairs (UNOCHA), briefs the UN Security Council meeting on the situation in Yemen at the UN headquarters in New York, Aug. 2, 2018. 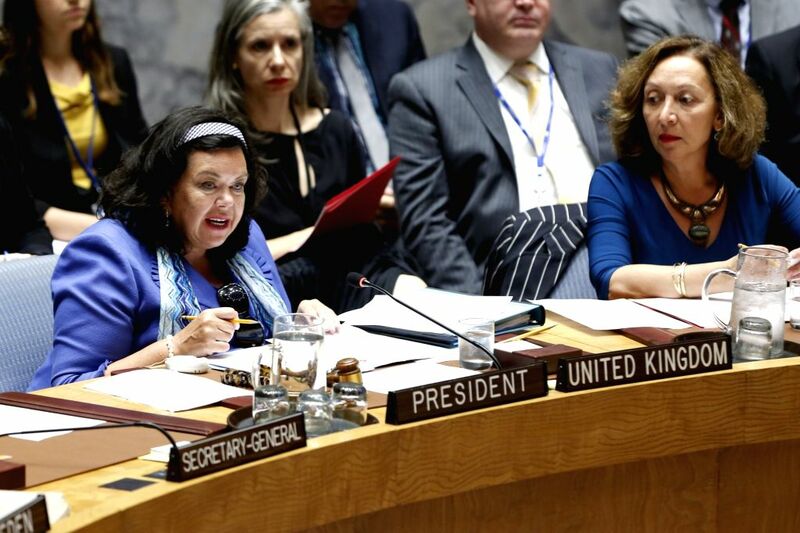 British Ambassador to the United Nations Karen Pierce (L front), whose country holds the Security Council presidency for the month of August, chairs the Security Council meeting on the situation in Yemen at the UN headquarters in New York, Aug. 2, 2018.